And with this post, I am now officially caught up on maps for this blog! Which means that all content posted henceforth will be new and exclusive, right from me to you. And I've got plenty coming up, from my week-long countdown of my favorite 7 Christmas movies/TV episodes, a little review of the year, plans for the new year, and more! This map is a sequel to Joyuex Noel. It is the second part of my "Hen Watching the Wolf Pack" map series. It is more or less an OTL map within an ATL universe, but it turned out great, I think. This was mostly for some practice, but for that I think the map serves its purpose. Enjoy. Christmas Day, 1926. Much like in our own world, the guns that began their soulless clatter in 1914 were silenced in 1918, and have remained still in the eight years since. The Triple Entente of France, Great Britain, and Russia emerged victorious in the Great War by the grace of God, defeating the armies of Germany, Austria-Hungary, and Italy. It was a hard war and a long war, and one that ended only when all sides were too tired to fight any longer and wanted their boys to come home. The postwar world is a cautiously hopeful one. A generation of young men returned home to stitch their lives back together, but a boom of aid, brotherhood, and fellowship across Europe helped to rebuild the wounded continent and even surpass the pre-war levels of prosperity. Germany, bereft of the extreme punishments inflicted by the Treaty of Versailles in our world, rebuilt its economy in just seven years, once against surpassing France's own mighty economic power. Russia fell apart into civil war before the ink dried upon the Treaty of Bruges, but has now come back from the brink with a loose coalition government ruling over its people. The successors of Austria-Hungary have similarly settled down after years of turmoil. However, no one suffered more, or fought harder, than France. French boys and men fought and died with the greatest ferocity yet seen on the continent to defend their homeland and win back the territory stolen from them in the Franco-Prussian War. Miraculously, the French underdog was victorious and successfully managed to put itself back together after the war ended. France's economy and industry rapidly rebounded with a surplus of new jobs, while Paris replaced Berlin and London as the growing centre of European art, culture, and education. The City of Lights on the great River Seine can be seen for miles and miles around, strung in electric lamps that shower with light the world's greatest minds who come to the wondrous city to pursue their dreams. It is a wonderful time for the French people, but the government, while positive, is still very cautious. The German Empire, though greatly reduced in power, is still intact. 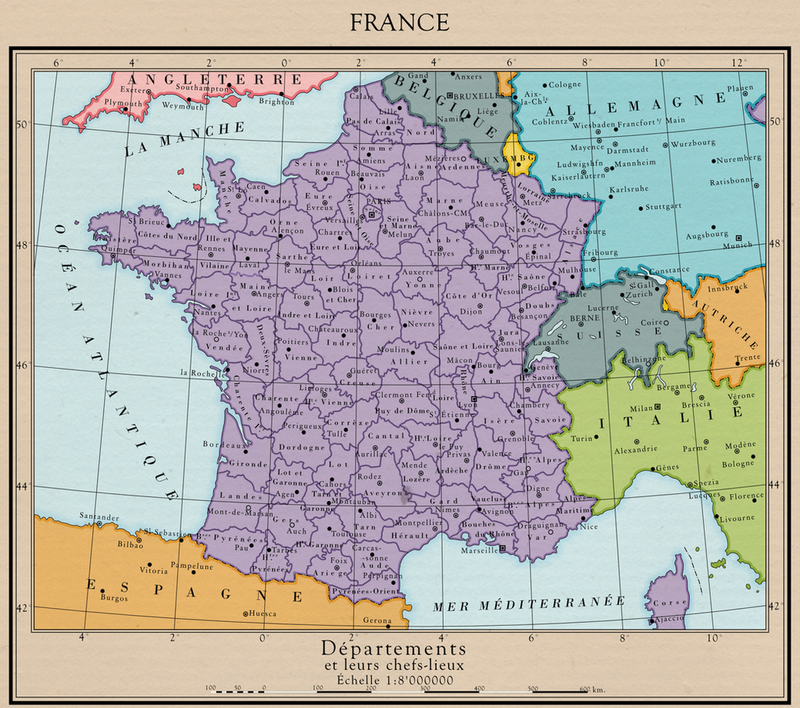 Though for now it proclaims neutrality, the French are wary of any German claims of peace. Italy, while patched together with French help in order to make an alliance with them, has begun to fall to extreme right wing groups who seek to exploit the Italian people. Even more worringly, politicians in Russia have taken note and have begun to use similar tactics. France has allies in Europe, but many of them, such as Czechoslovakia, Poland, and Yugoslavia, are new nations sitting upon shaky foundations. They are allies who need France more than France needs them. Meanwhile, the great cost of the war has caused Britain to hide itself away from Europe and focus more on its colonies and its relationship with the United States. The third decade of the 20th century is one full of prosperity, opportunity, and hope, but dark clouds gather on the horizon. As France continues to move towards its role of policeman of Europe, the nation must be careful to not take on more enemies than it can handle, and to keep its allies close through the years ahead.